I don't think I've ever used strawberries as a blog prop in my photos before but I'm pretty glad I did today. For today's blog post I am talking about a very glamorous lash brand - Esqido*. Now when this email arrived in my inbox I was really blown away by the packaging on the brand website. I understand that the actual product is the most important element when it comes to liking and buying a beauty item but I really love when brands go that extra mile to add extra attention and detailing to the brand packaging. Before we talk about the product packaging and what I actually think of the lashes, lets take it back to the brand. Esqido is a high end lash brand that stocks lash glue and eyeliner. 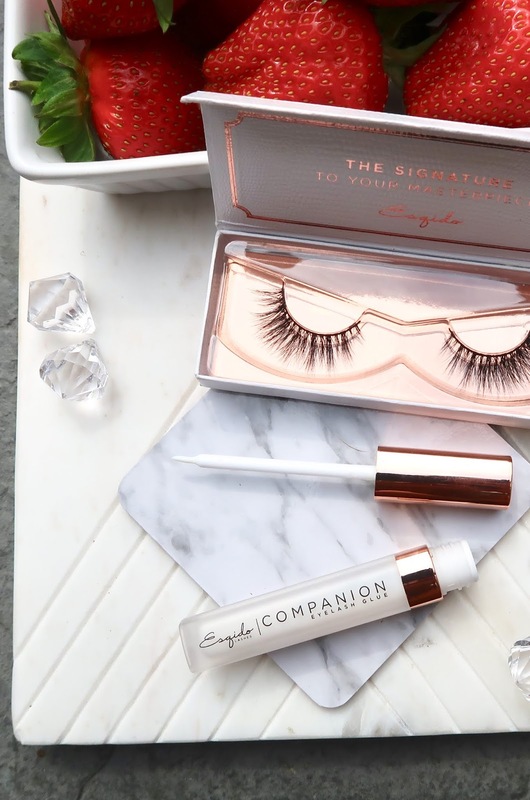 It is a celebrity favourite when it comes to their lash range, the Esquido lash line has been worn by the likes of Adriana Lima, Gigi Hadid and also Rihanna. Made from mink fur, the lashes are available in over 27 different styles and are designed to last a lot longer than regular lashes. Depending on how you look after them, you can get quite a few uses out of the Esquido lashes. I decided to pick the 'Gino' style lashes because I personally prefer soft and fluttery false lashes that won't look too heavy on my natural lash line. As I was scrolling through the Esqido website, I actually noticed a quiz section. 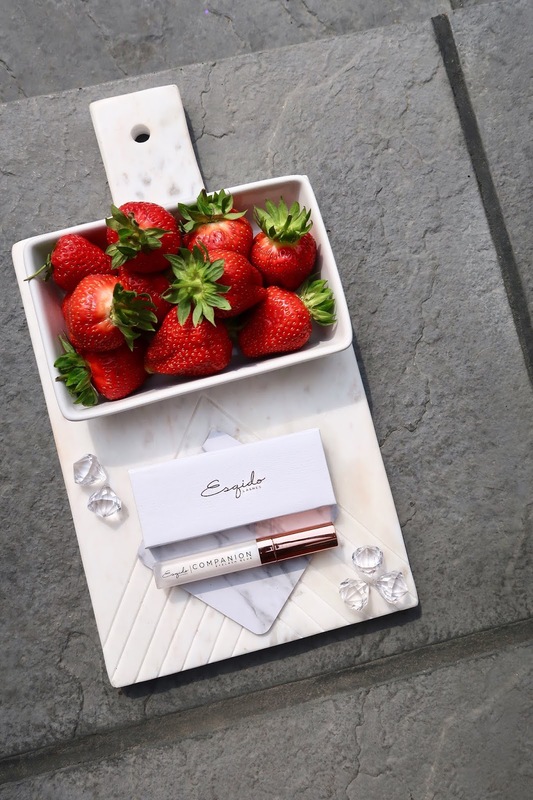 You simply answer a few questions and Esqido will suggest what lashes will suit you, they take into account where you want to wear the lashes, what your personal taste is like and what skill level you have when it comes to applying false lashes. I think the quiz is a really nice touch and if you find false lashes a new experience, the quiz is a great tool to use. The lashes arrived in a plastic sleeve to protect to main lash box and after I removed the sleeve, I was blown away by the box design. The white faux lather snake skin design is my idea of heaven, I absolutely love the packaging and I couldn't wait to try the lashes inside the box. 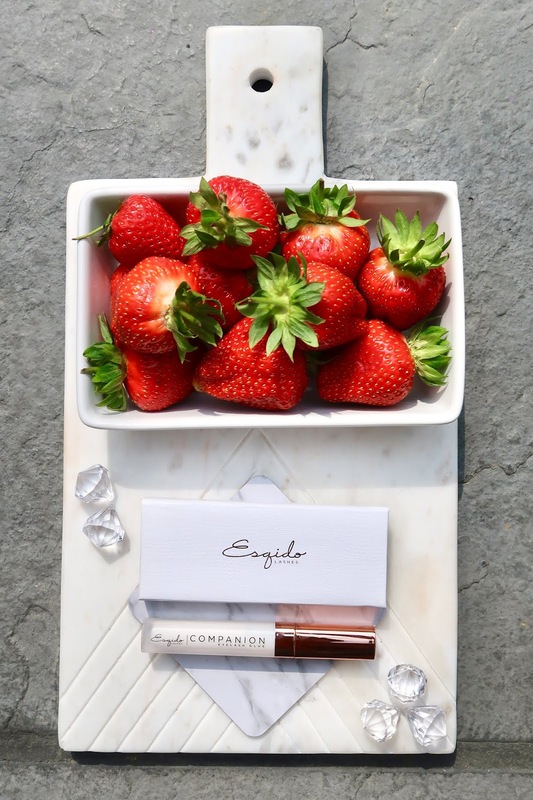 They were secured in a rose gold container and I was also sent the Esqido lash glue to try. I was really surprised when I opened the lash glue because of the size. It is very big and I'm so used to using tiny glue sticks from high street lash packs. After I removed the lashes with tweezers, I rested the lashes against my lash line to measure and match the size. Those lashes look so gorgeous!